This is a 4 door lock kit with a 3 channel keyless entry system. 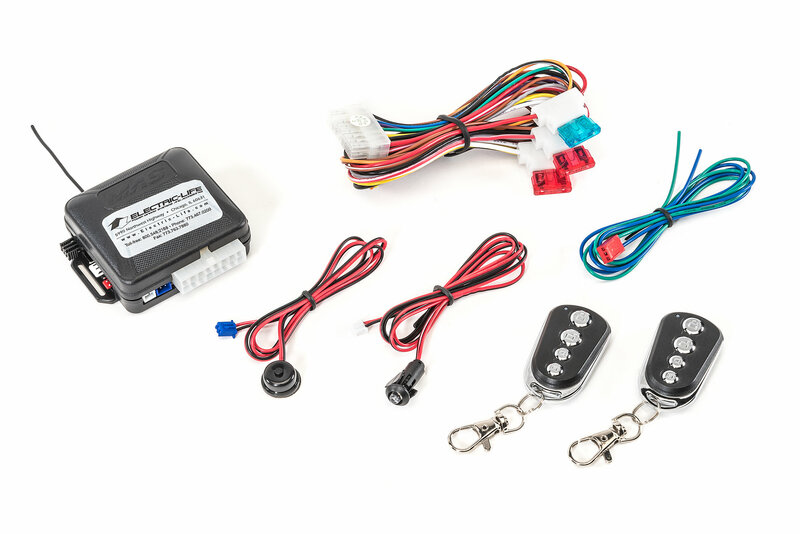 Kit comes complete with plug and play wiring harness, preprogrammed keyless entry system, and 4 MES actuators. 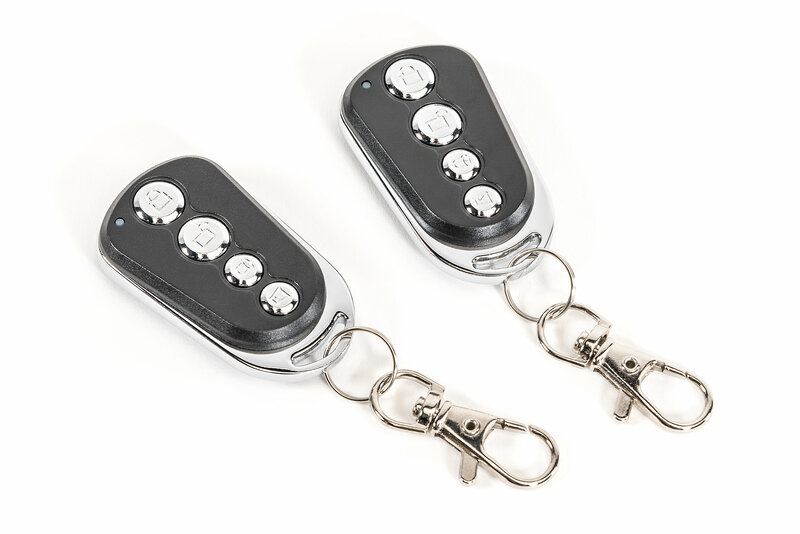 This kit is a central locking system so there is no need for switches in this kit. The actuators use your manual tabs to sense when you have locked or unlocked the vehicle it then tells the other actuators what to do. 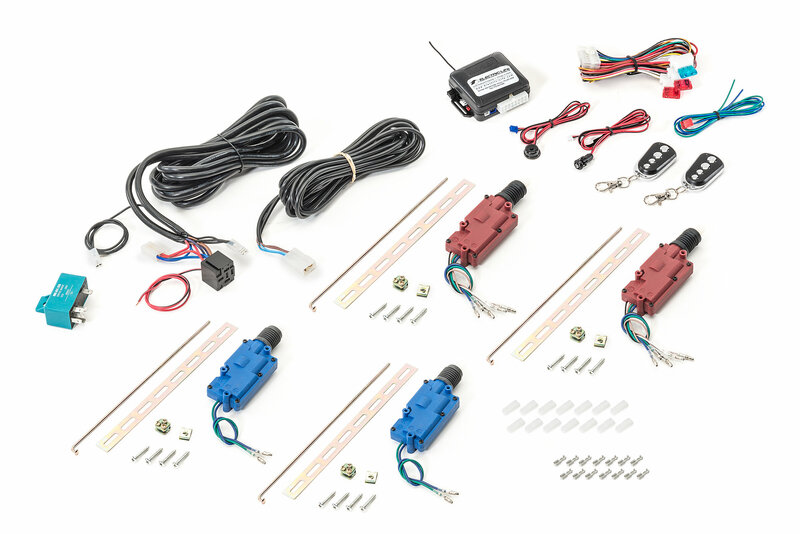 This kit is designed to fit in any vehicle that uses a rod locking system. You will need a lot of time and patience installing these. I broke one of the rods while bending them. Make sure you measure offset and length and then start bending. I think my next step is to purchase original power locking mechanism and wire those using this controller. The lock light and valet parking button are a good addition. Remote range is very good, and the remotes look and feel very high quality.